~ All things botanical in photos and words—in my West Seattle garden and elsewhere; seeing and creating art and assorted musings. 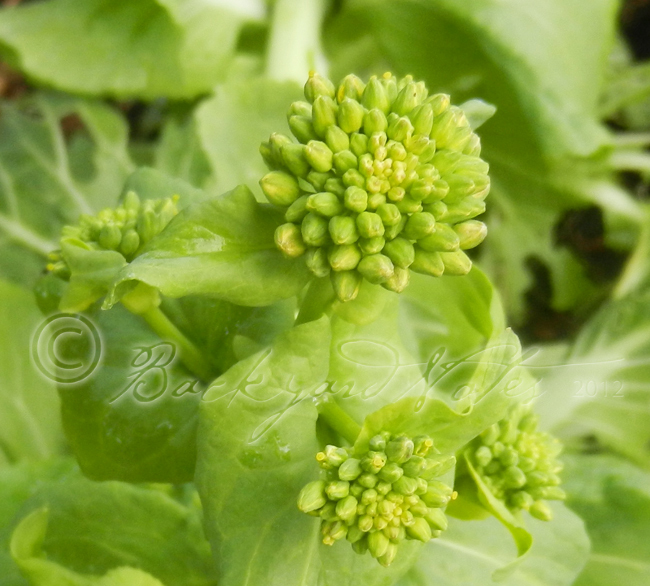 WHEN BRASSICAS GROW UP THEY BLOOM! This year the winter garden is slowly being deconstructed and made ready for some fallow time. 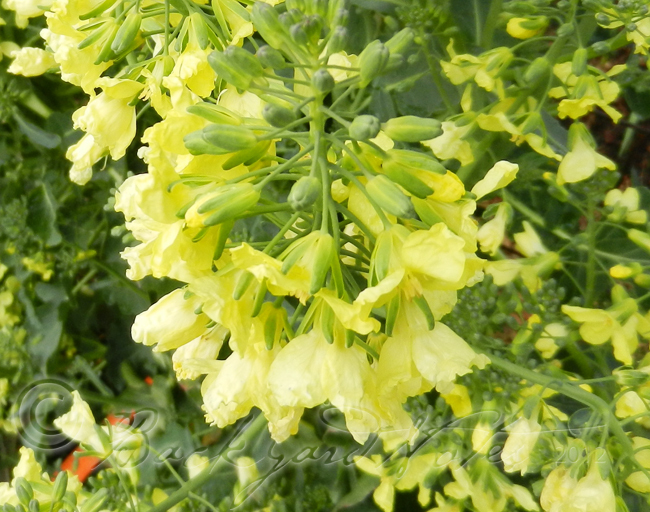 I usually leave a plant or two go to flower to attract pollinators into the garden as few other plants are blooming in February and March. This year will be a little different in the vegetable garden. We are planning a two month camping trip. Translation: no spring/summer garden this year. The thought of it makes me kind of anxious. For the first time in 17 years I have not started tomatoes, peppers or eggplants. I have not seeded anything directly into the vegetable garden since late last fall. Sad. A spring palette of green and yellow in this afternoon’s rain. Clearing out the veg garden is taking a back seat to the rest of the garden here at BackyardFarm. 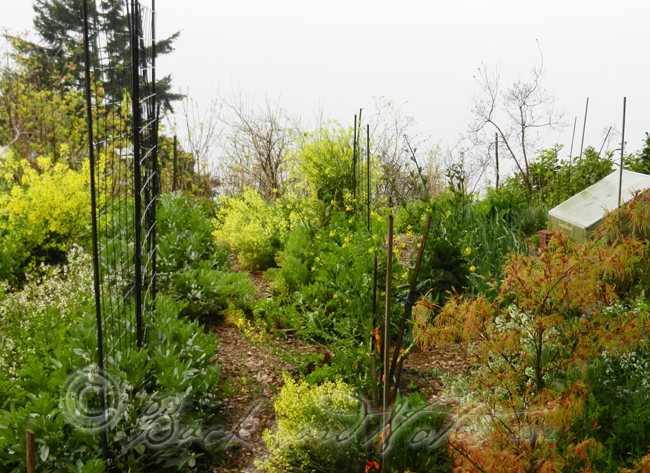 Weeding, pruning and general maintenance chores abound and the goal is to have all tidied up by mid-May so Gardening Gal can have an easy time of it every other week. Besides, cleaning out the above is all about pulling, chopping and into the compost bins. I’m researching the best way to keep the weeds at bay in the veg beds while we’re away. 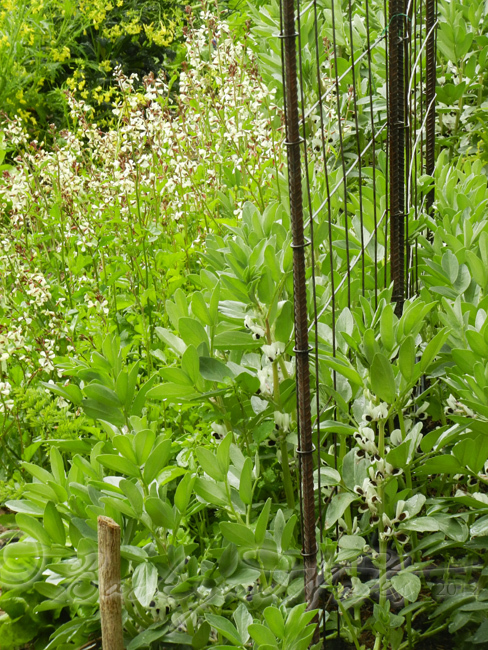 Blooming favas and bolting arugula! There are still happy notes and with luck, we’ll have a harvest of fava beans to leave with. 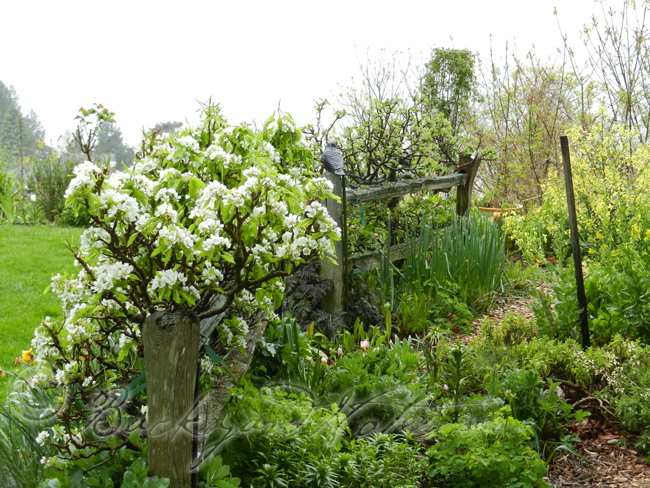 The pears began blooming while we had dry and sunny weather so there is hope for a nice pear crop. 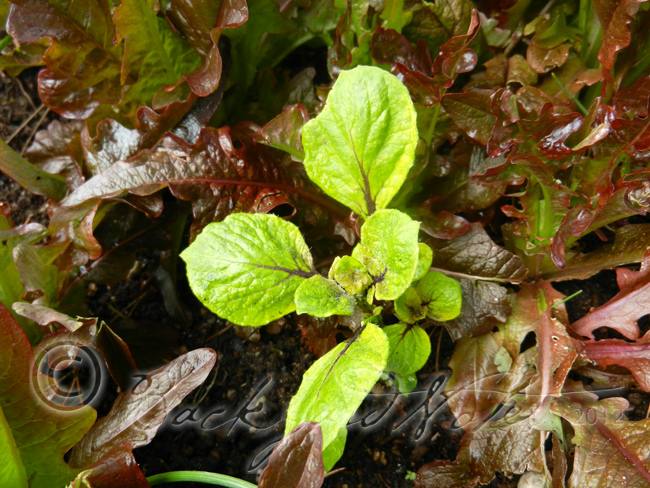 Oodles of volunteer red oakleaf lettuces and purple potatoes, so all is not lost! 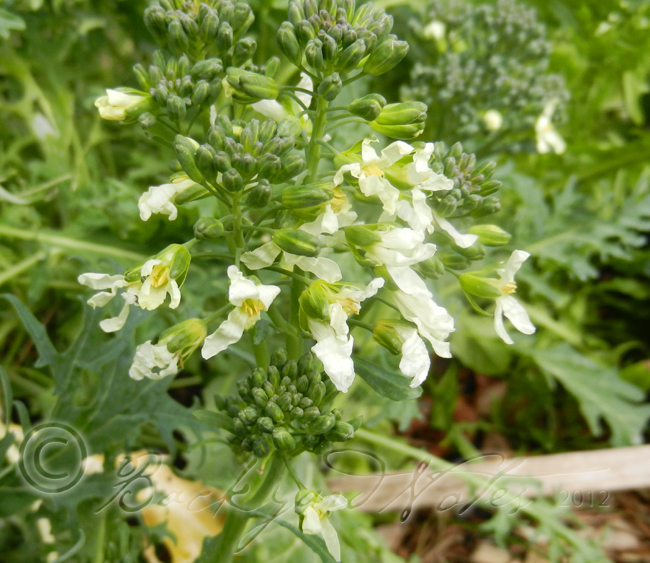 All things botanical in photos and words—in my West Seattle garden and elsewhere; seeing and creating art and assorted musings.